Today we will be discussing the second step which follows cleanse: Tone. Toners are used to remove oil from deep within the pores of your skin, while gently exfoliating and brightening your facial skin appearance. There are countless toners available on the market today that are usually one of two types: toners containing alcohol and alcohol-free toner pads. Which type of Toner is right for me? Toners use the alcohol as a way of removing dead skin cells and oil from the skin. Since alcohol is a solvent, it is able to penetrate into your pores and loosen up the oil and dirt that typically clog and make pores look larger. As a result, alcohol tends to dry out the facial skin and may irritate the faces of people with more sensitive skin types. For more mature facial skin, which is typically prone to dryness and more sensitive to irritants, it is best to use an alcohol-free toner. We formulated our Nurture line’s Renew Daily Toner Pads to be the ultimate toner pad for younger facial skin. It contains glycolic and lactic acids, which assist cell turnover and regeneration. For deep cleaning and exfoliation, Renew contains salicylic acid as well as alcohol. Our specialty formula also contains oligopeptide 10, which acts as an effective anti-bacterial agent, which reduces acne. These toner pads are ideal for many types of skin including: acneic skin, combination skin, hyperpigmentated and sun damaged skin, oily and normal skin. Since this product does contain alcohol, I would recommend that patients who have sensitive skin or are prone to dryness use Revive+ Daily Toner Pads. Revive+ is an excellent toner for more mature, sensitive, or dryness prone skin types. Its alcohol-free formula provides a gentle cleanse which removes residual cleanser, as well as restores pH to optimal levels. These pads also contain several ingredients which gently exfoliate and smooth your skin to promote healthy skin cell turn over to leave your skin looking younger. To add a boost to our Revive+ Daily Toner Pads we included antioxidants, such as niacinamide and azelaic acid to help protect against and recover from free radical damage. How do I use Toner Pads? These might just be the easiest part of your daily regimen! 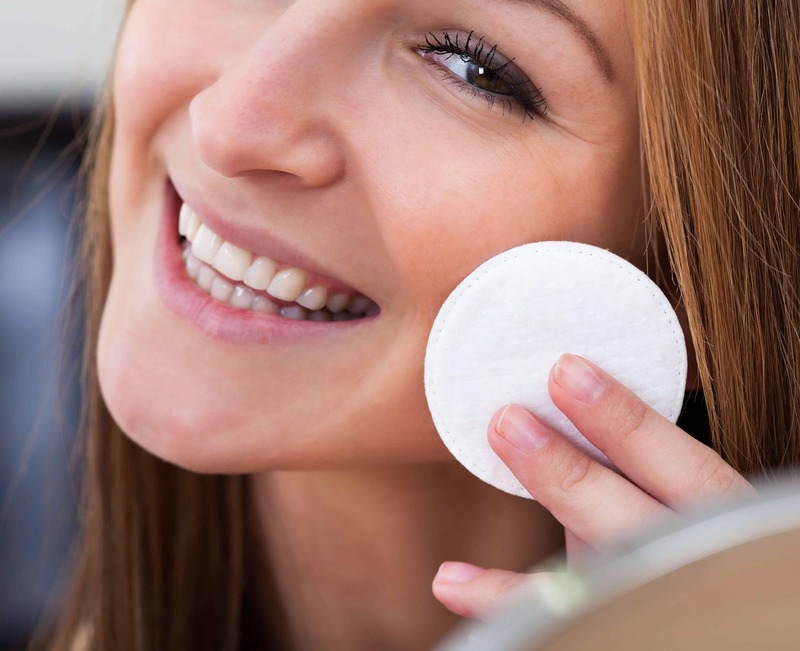 After cleansing , simply take a Save Your Face toner pad and apply to your face in circular motions. Allow the treatment to soak into your skin and air dry, and you are done! I recommend that all my patients apply toners to their facial skin twice daily (AM and PM) after cleansing. To learn more about Save Your Face Medical Skin Care and the Nurture and Restore lines please visit my Save Your Face Website. For more information on my patented Six Step Medical Skin Rejuvenation Program please read my Free E-Book. Please follow us on Facebook, and Twitter for up to date posts on these exciting new products, Free Giveaways, and special promotions. The next blog in the product spotlight series will feature a very popular product, of which there are countless examples on the market: Eye Cream.